For as long as I can remember I have dreamed of being a Starfleet officer but somewhere along the line I had to face facts and come to the realization that this was never going to happen. Why is that you might ask? Well mostly because Star Trek is a just Television show! This week however all that changed. Now thanks to the folks at Ubisoft and RedStorm Entertainment I will soon be able to live that dream. 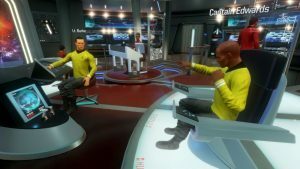 Earlier this week during E3 Star Trek Bridge Crew was debuted to the world and let me tell you, watching this presentation made me grin from ear to ear in anticipation of finally being able to live out my nerdiest Star Trek fantasies. The game is described as an interactive four-player experience where players are put into the roles of the Captain, Tactical Officer, Helmsman and Engineer. Set aboard the Starship USS Aegis the players will have to work together in the tradition of cooperation that Star Trek has always embraced to accomplish the missions. The main premise of the game is that the Aegis is sent out to explore an uncharted sector of space known as, “The Trench” in hopes of locating a suitable new home world for the remaining population of the recently destroyed planet Vulcan. 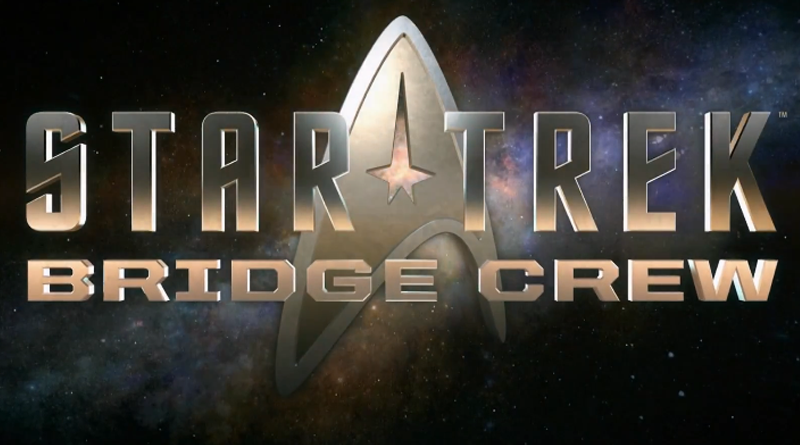 All I can say is that I absolutely cannot wait to get onto that bridge and Captain the Aegis. 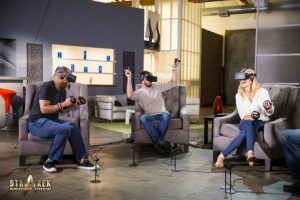 Star Trek Bridge Crew is set to launch this fall for Oculus Rift, HTC Vive and PlayStation VR and you can bet your bottom dollar that myself and the other VRSpies will be playing this one extensively… Live Long and Prosper! ← Job Simulator – Hard at work or hardly working?